For some companies, the next few weeks means a complete ‘down tools’ approach, where machines are not likely to be used at all for a week or so. For others, employees will continue working as normal with a day or two of rest. Company size, office locations, the number of remote or flexible workers to maintain and many other factors need to be considered when predicting working patterns (and support levels) in late December and January. Larger organizations with established worldwide IT departments should, by now, have a strategy in place to maintain employees’ endpoints over the festive season. In smaller businesses, however, where often the IT manager is responsible for everything from networking, patching and resolving day-to-day support issues to fixing the printer, that’s not always possible. If you’re a smaller business and haven’t started planning IT support, don’t panic! This quick guide should help you to prepare so you can enjoy the festive season. Over the next few weeks, as people travel to see family and are more tempted to work remotely, more laptop users than usual will take their machine home with them. Remind these users of the basics, for example, to look after their machine, use a password manager and to use a secure VPN if working out and about. Where machines are staying in the office, take your environmental responsibilities seriously and save costs by enforcing greener policies and reminding users to switch them off. It’s your responsibility to make sure you can access machines and are prepared for a worst-case situation. Make sure employees working remotely have remote access software pre-installed to save time, should you be called to fix an issue preventing them from getting on with their day. Freeing endpoints of the accumulated junk files, data and settings which clog them up and stop them from running at their best gives you the best chance of a fuss-free festive season. Cleaning and optimizing machines takes seconds, frees up space for users and injects some speed into older machines. For smaller businesses without an established network, CCleaner Cloud makes cleaning easy by allowing you to add machines (by email or MSI installer) to a central dashboard where you can manage them, which is accessible via your desktop or mobile browser. As well as cleaning functionality, CCleaner Cloud also contains a multitude of other features including defragging and software installation (and uninstallation) - plus, it fixes Windows Registry issues. Here’s where you can try CCleaner Cloud for 14 days (no credit card required). If you have a network and need to maintain a large number of endpoints, we recommend you instead try CCleaner Network Edition. Its core feature set is the same as CCleaner Cloud, but it’s built for enterprise-level organizations. 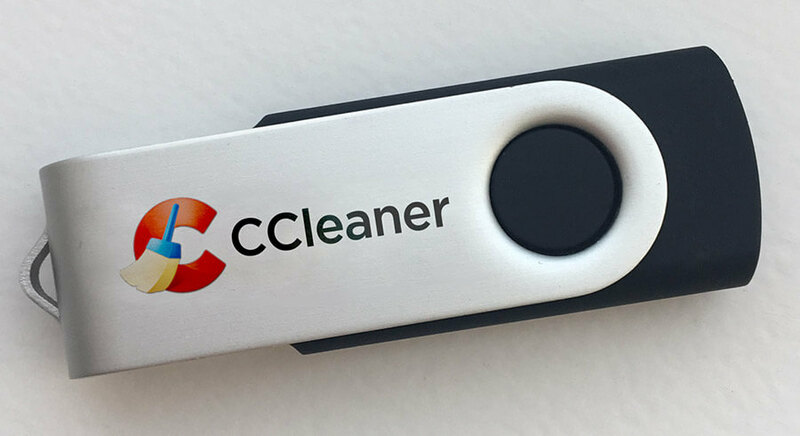 Whichever CCleaner best fits your organization, we recommend you set up automatic cleaning. A ‘set and forget’ approach will save you time in the long run. Users working outside the office will inevitably be tempted to use their business machines like their personal machines which means they may return to the office with a machine clogged up with consumer software - and then plug it back into your business environment. We recommend you remind employees about corporate IT policies and monitor their behavior to minimize risk. CCleaner Cloud allows you to see the software users are installing (and uninstalling) to their machines and allows you to take control should you need to. If you’re not planning on logging on unless you really have to, set up event generation to be reminded by email when users install software (or when other events of your specification take place). The festive season is a great time to perform more substantial tasks such as inventory checking and upgrading operating systems. As well as keeping machines automatically clean and freeing up space, CCleaner Cloud can help you by performing Windows Updates and full system defrags across your entire estate, individual machines or specific groups. If machines are switched off, cleaning and defrag tasks will kick in when users come back online. We hope these help. If you have any questions, please get in touch with our sales team.